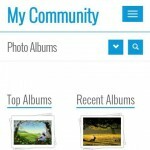 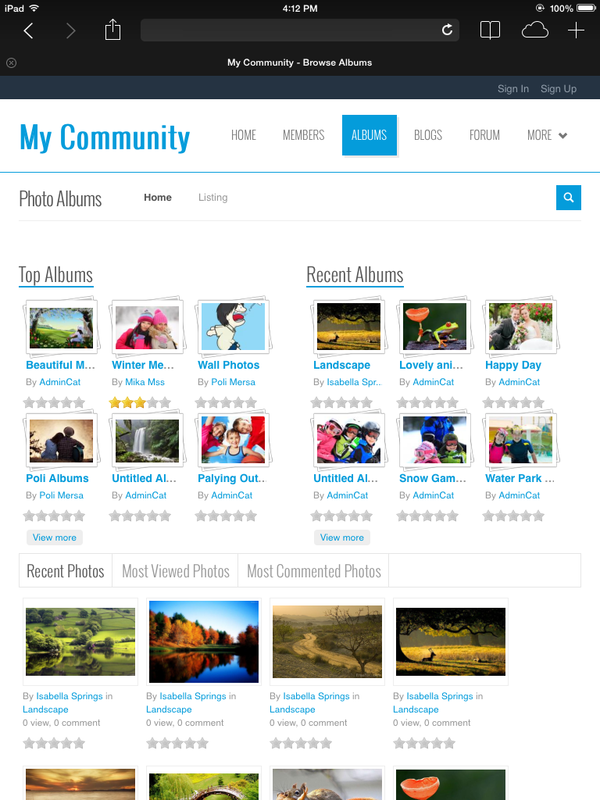 Social Networks have become an essential part of everyone’s life. 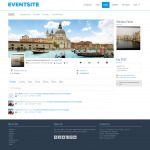 Not only is it a place where you can share information but a place where other activities take place such as events, store, marketplace … As a result, traditional event fliers have become obsolete because people have found a faster way to share or advertise events, which is via social networks. 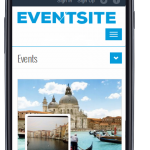 Not only that, with the explosion of smartphone market, the need for responsive design has become an important factor of theme development. 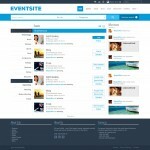 It’s so important that responsive design has become a must-have feature for any theme out there. 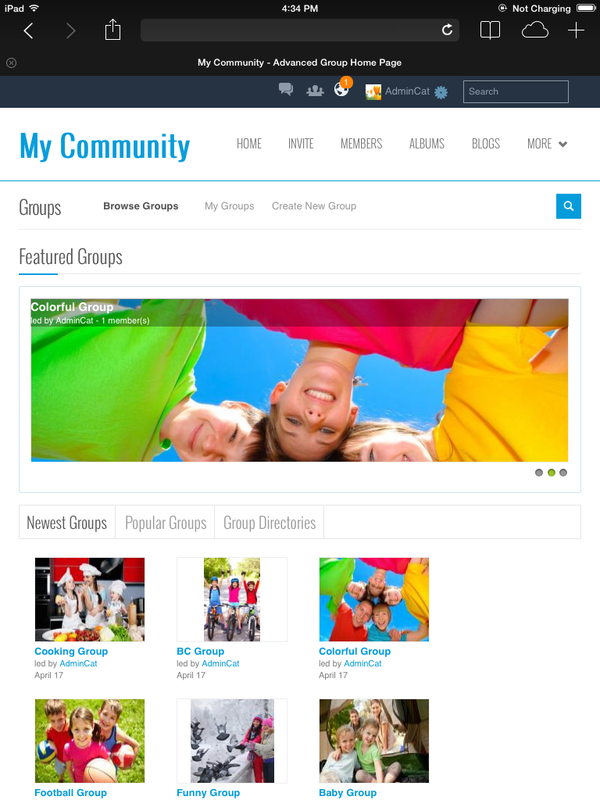 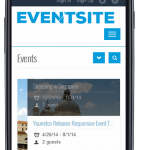 So, what makes Responsive Event Template stand out in the crowd? 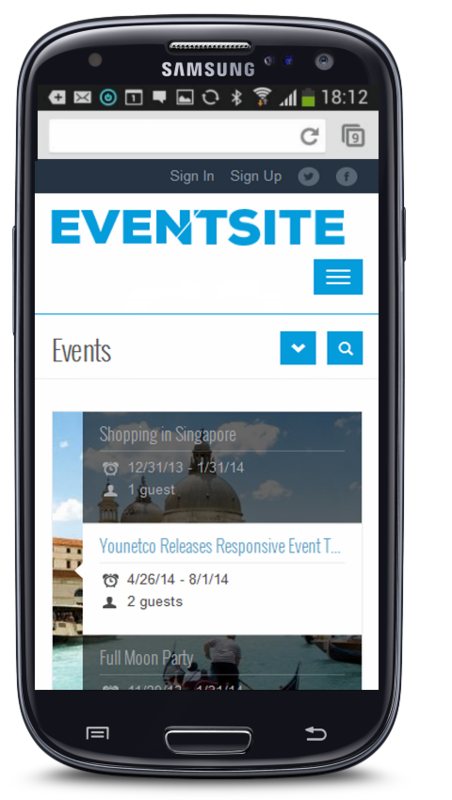 First and foremost, it’s responsive. 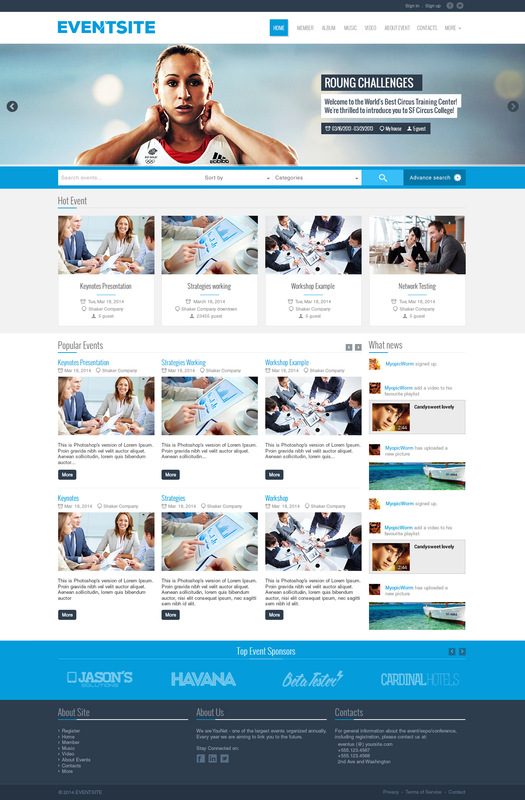 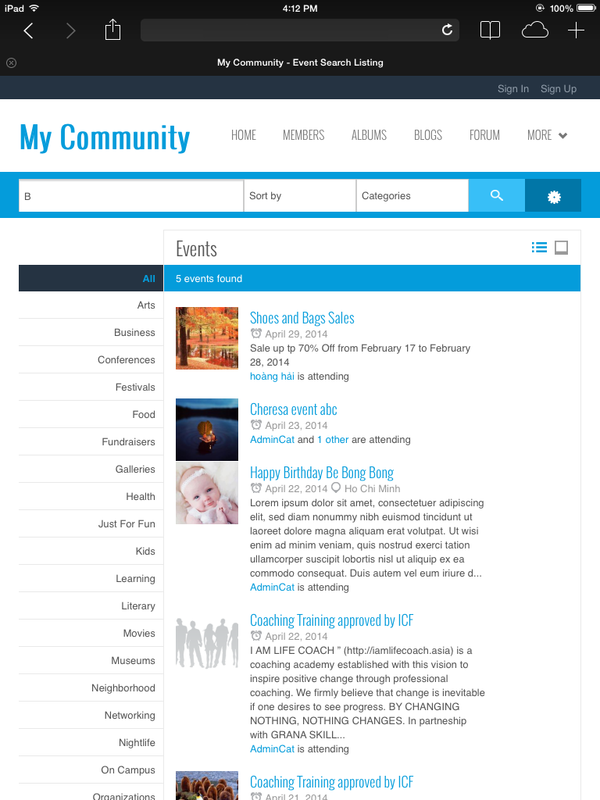 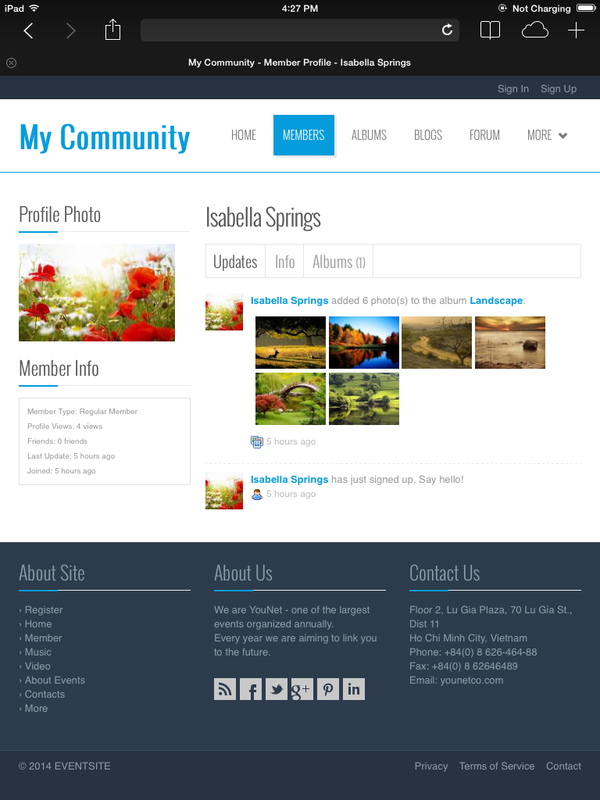 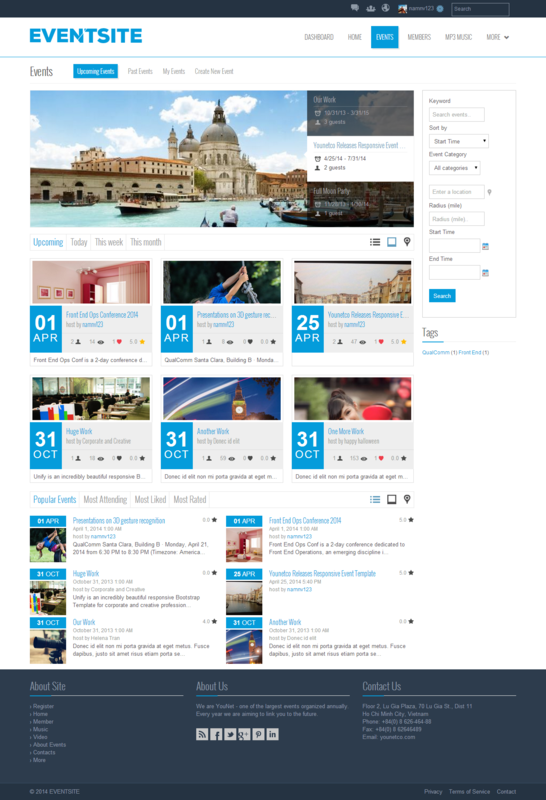 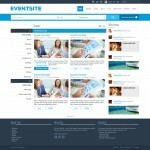 Secondly stunning design suitable for both corporate and entertainment site. 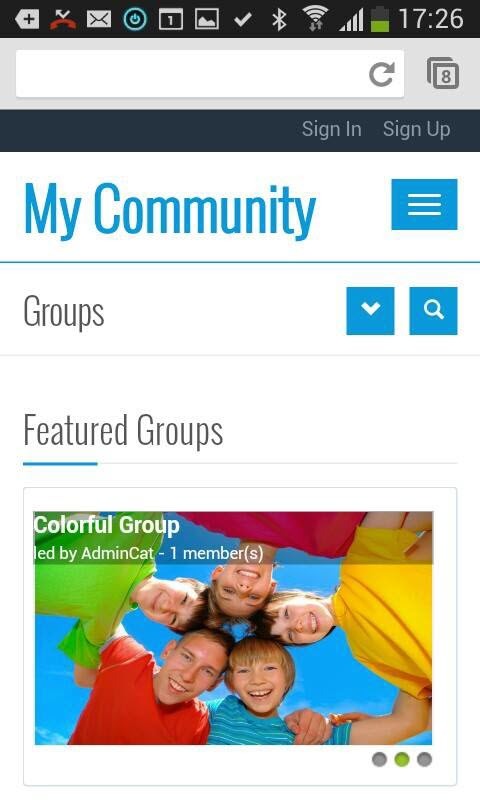 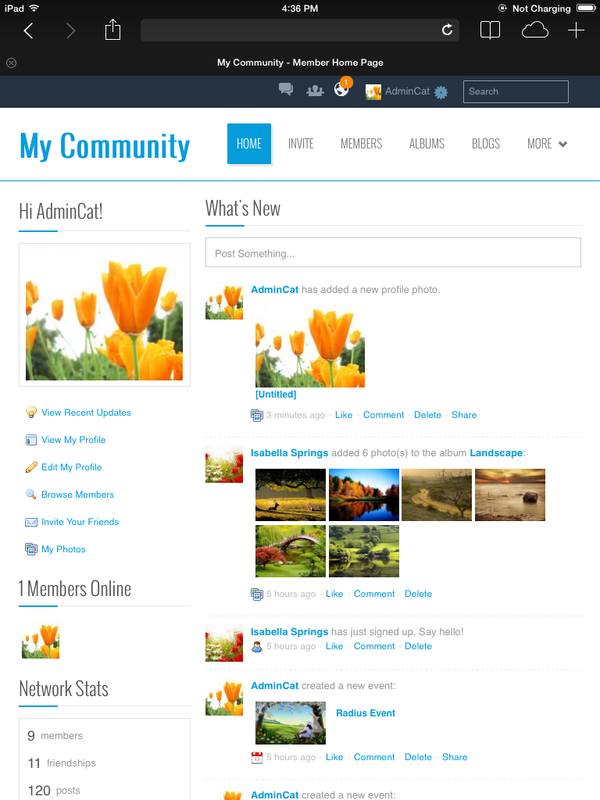 Last but not least, flexibility for admin to customize. 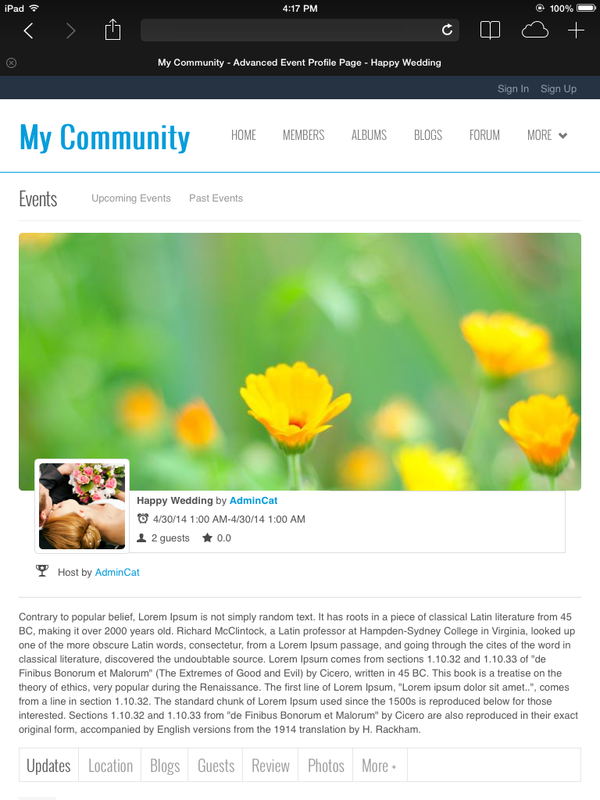 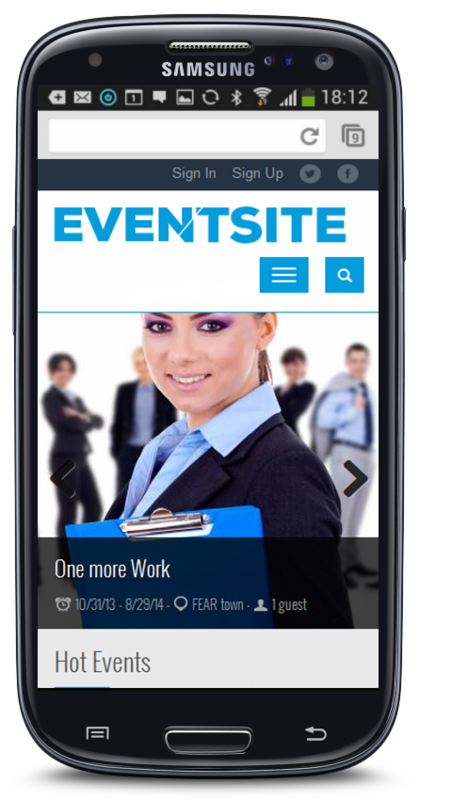 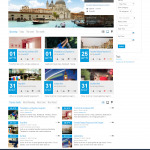 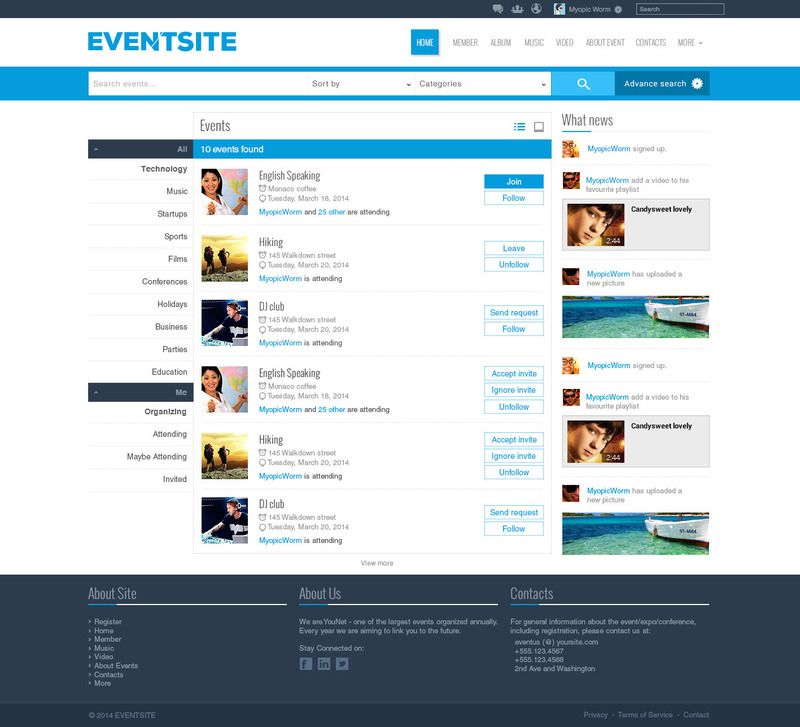 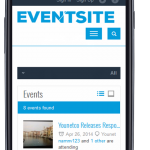 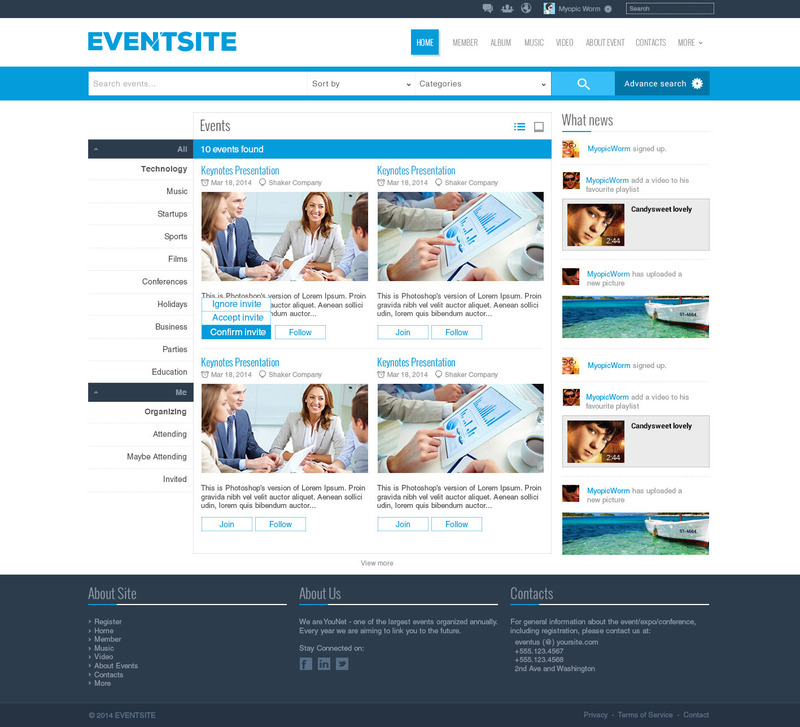 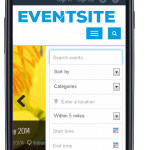 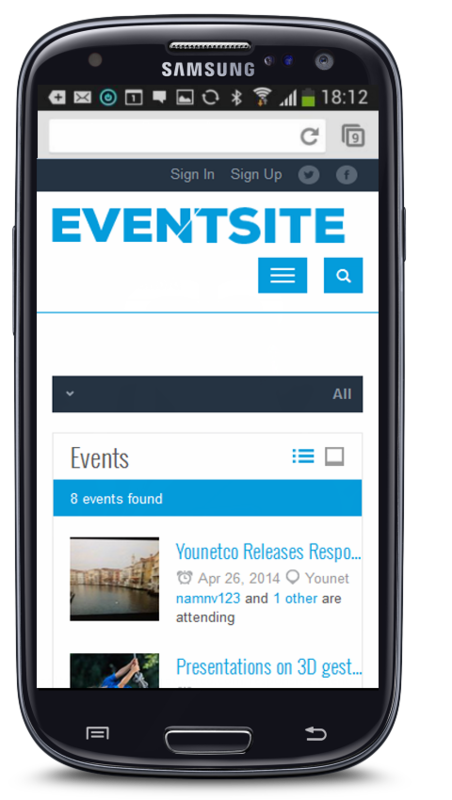 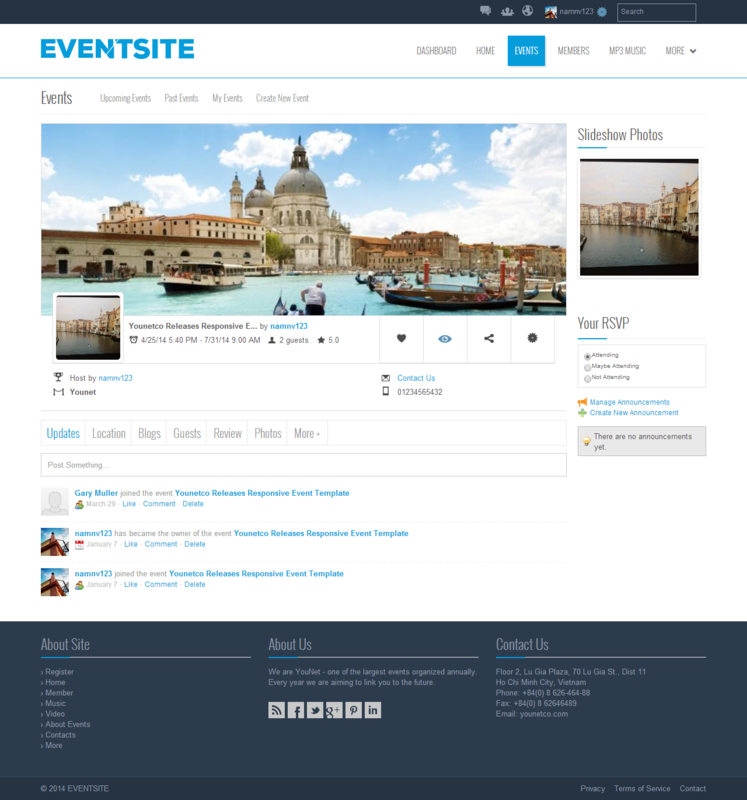 Responsive Event Template is compatible with all default SE and most of YouNetCo plugins. 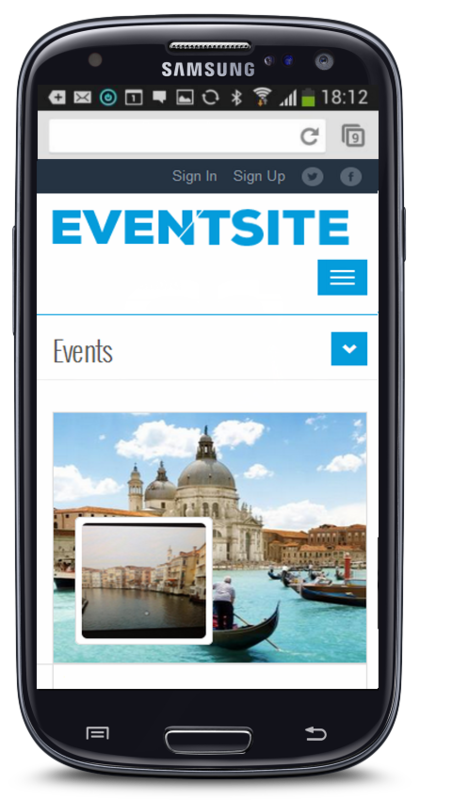 The new event focused template brings you the new design for event page as well as new widgets (hot events, sponsored events, popular events), especially the one with slider designed specifically for the event, which greatly enhances users’ visual experience. 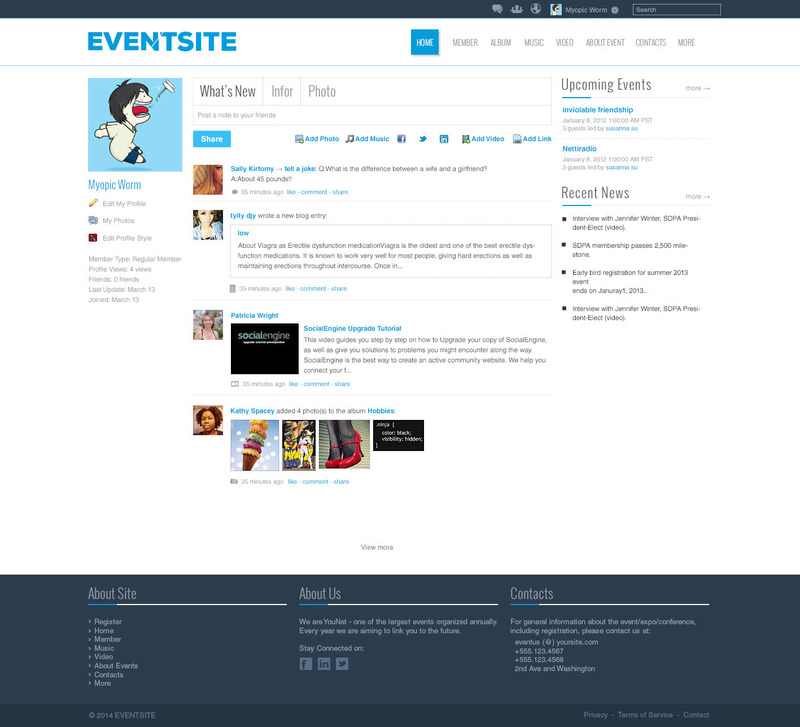 Your users will be amazed by our elegant and tasteful design. 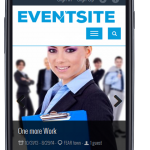 Creating, maintaining and advertising events have never been easier. 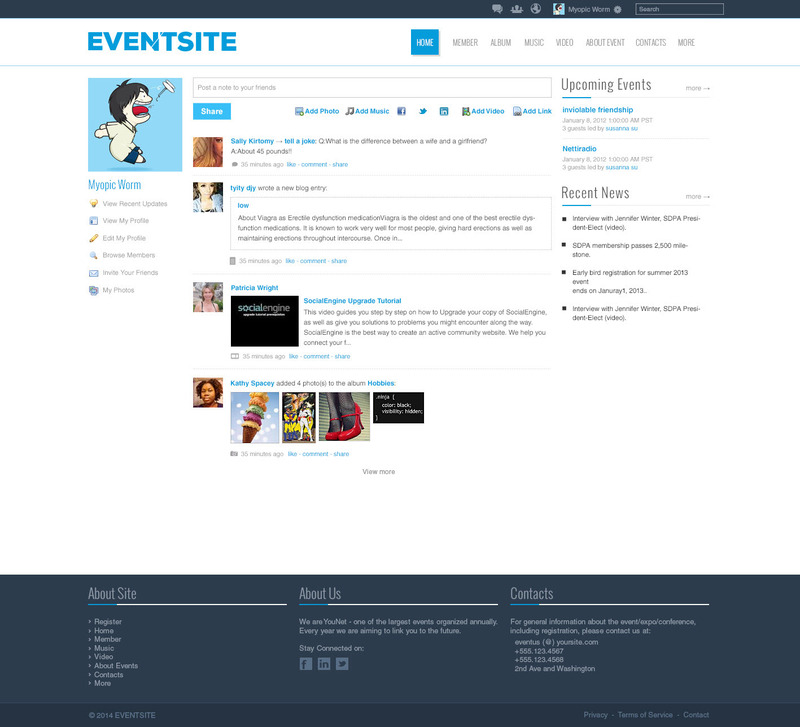 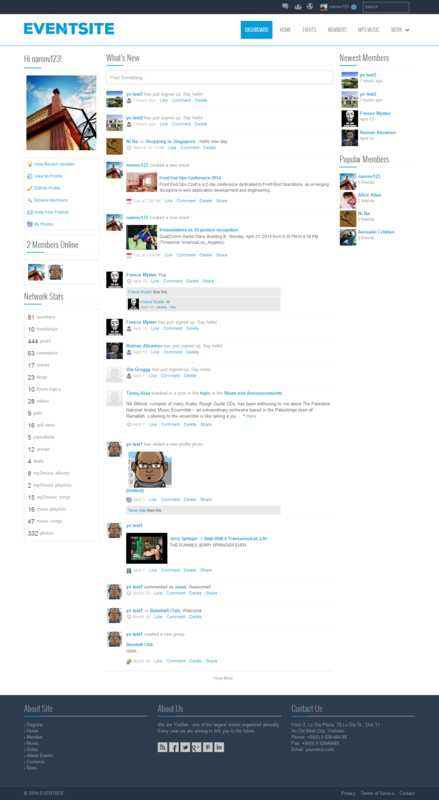 Customized homepage after login. 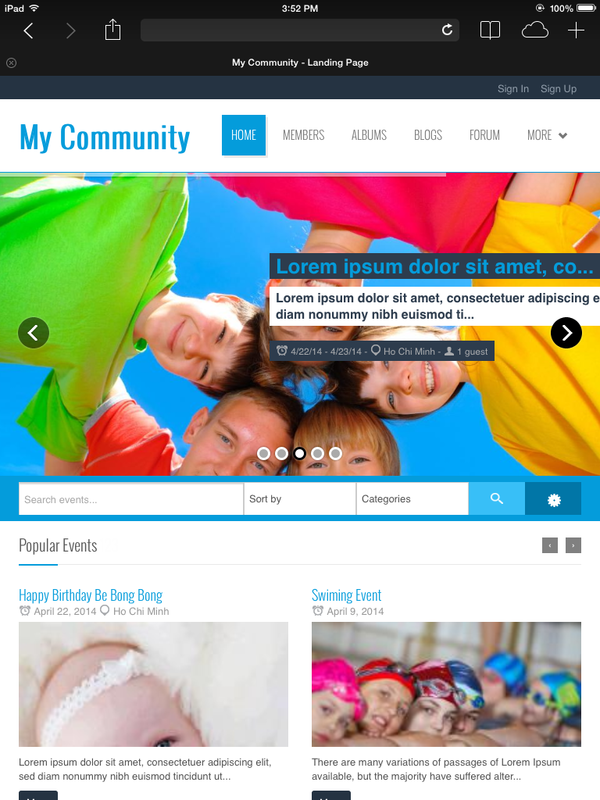 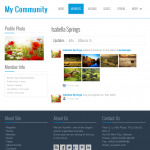 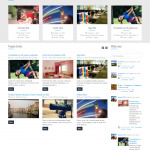 Your site will have landing page as homepage and user home page will be moved to Dashboard. 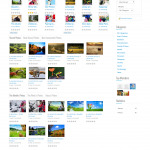 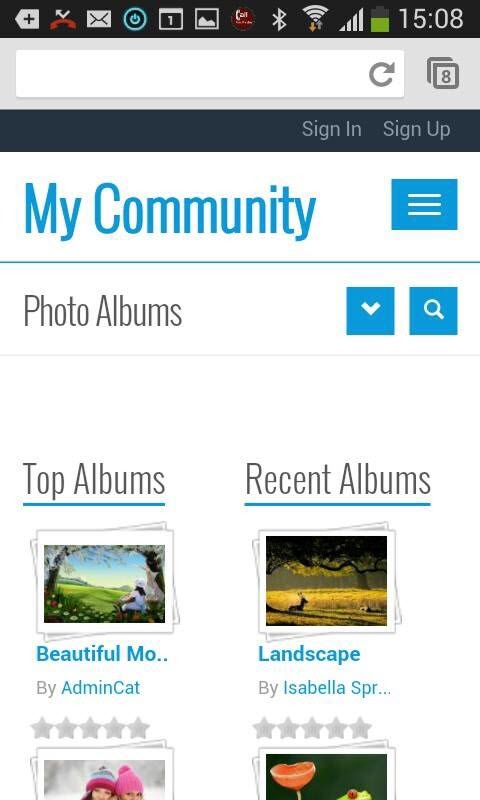 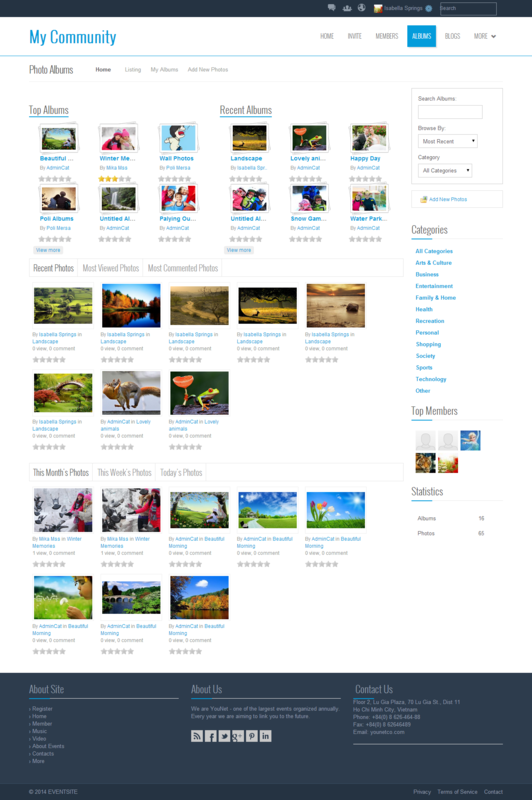 You can remove the customized home page and back to basic home page anytime you want. 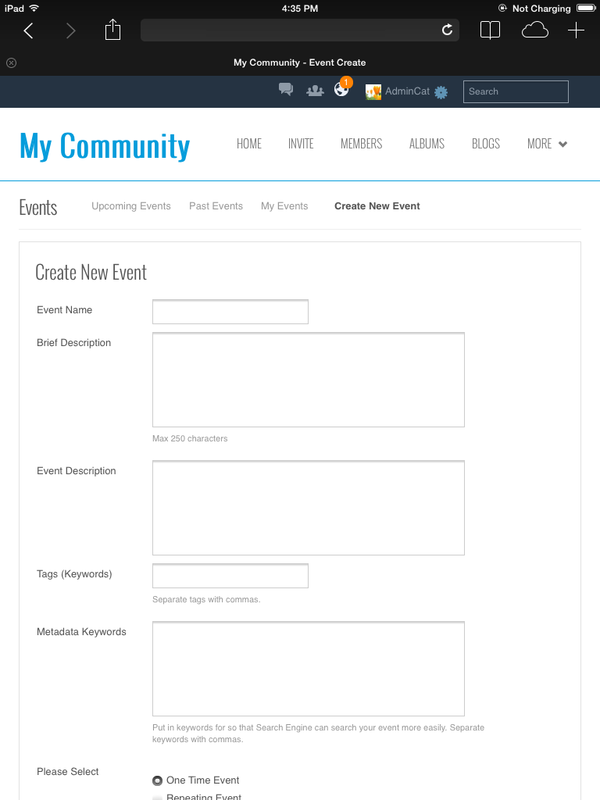 Question 1: Does this template require Advanced Event installed in prior? 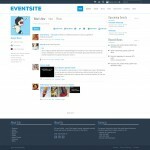 Question 2: How can I configure the default mode view on event search result page? 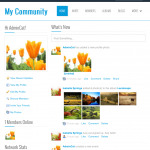 Question 3: I would like some widgets not to display on Mobiles, is it possible? 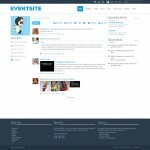 Question 4: Will any file be changed after the installation of the theme? 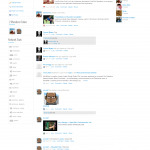 Question 5: How about 3rd party vendor plugins? 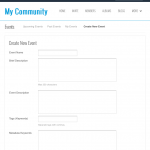 Question 6: Does this template work fine on Mobiles, Tablet? 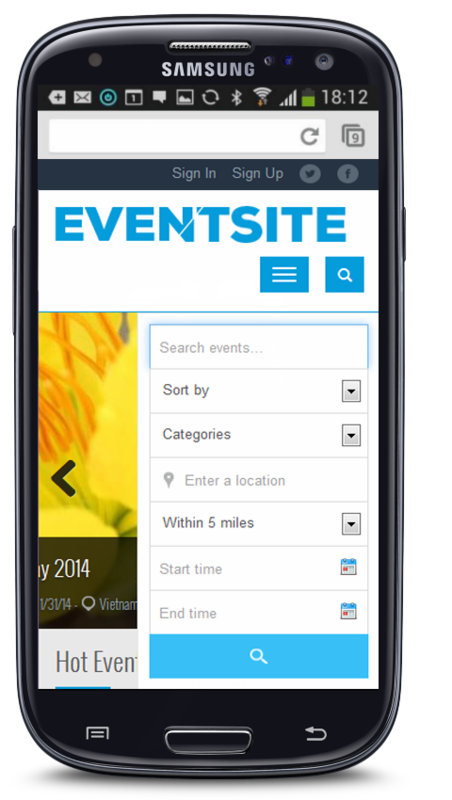 How about SE Mobile View? 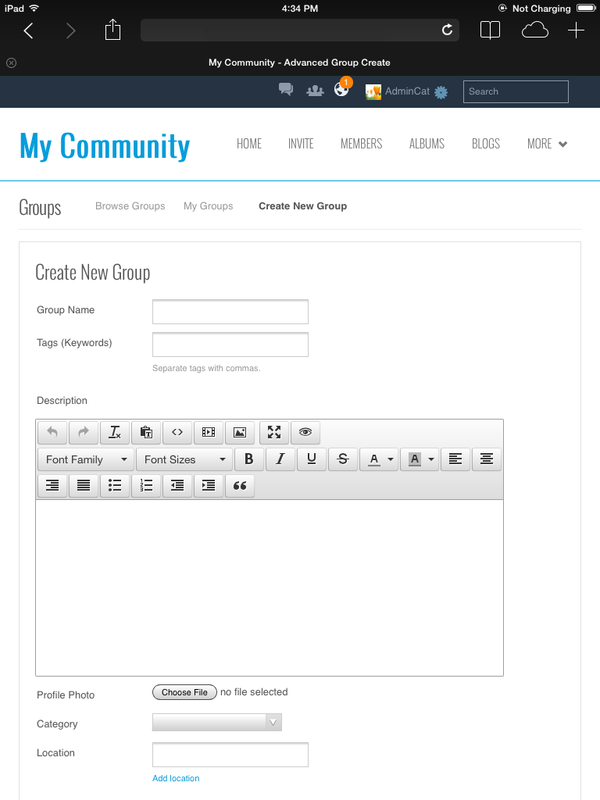 Question 7: How to edit Footer content? 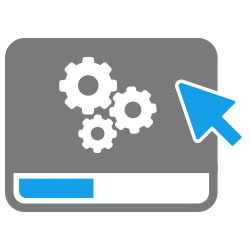 Question 8: How to configure slider in landing page ? 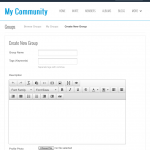 Question 9: How do I show/hide landing page when users are logged in?